This Executive MBA program is held in Belgium and prepares graduates with advanced knowledge in business and management. Vlerick Business School is committed to setting the highest standards when it comes to research and high-quality business educations. A great emphasis is placed on ensuring that students and faculty have access to the resources they need to develop their full potential. This commitment to quality is recognized by the world’s leading accreditation bodies and is the reason why Vlerick is consistently ranked among Europe’s best business schools and No.1 in the Benelux. The total tuition fee of the Executive MBA programs is €38,995 and will be split into €25,000 and €13,995. The first part must be paid before the start of the first year; the second part has to be paid before the start of the second year. 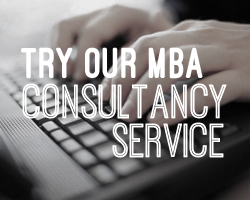 Fill out your details to find out more about Executive MBA Belgium.